Hate be ing tied to your desk but fear stepping away and missing that important call you’ve been waiting for? 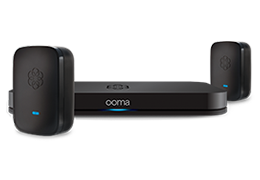 We’ve been there, done that too – that’s why we’re making it possible for each Ooma Office user to answer calls coming in to your Ooma Office phone number not just on your desk phone, but on a remote phone number and a mobile phone too. Previously, setting yourself up on multiple devices meant you were taking up additional user spots (and we know those are precious! ), so we’re making it possible to set each individual user up on multiple devices for the low price of only $9.99 a month, while also expanding each Office account to support up to 20 users. While big businesses may be able to afford constant investments in new technology, that’s rarely the reality for small businesses. We’ve always believed costly upgrades shouldn’t be necessary to have a great experience. That’s why Ooma Office can now call you on any phone you already have. It’s also why we’re making expanding your system to support 20 users really easy. 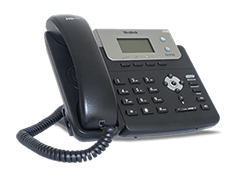 Each Base Station can support up to five users and you can link multiple Base Stations to one Office account. Already have a couple but want to add more? Our new Base Stations link up just fine with the ones you already have – no need to waste money buying replacements for equipment that’s in good shape. We hope this makes it easier for you to stay connected both inside and outside of the office on the devices you already have, while growing with you as your business grows. Received notice my credit card is invalid or expired. It is valid and hasn’t expired. Could not log in due to wrong password. Received temp password, but can find no option to create new passwords. Hi P Glenn Cremer! Please contact Customer Support at 866.452.6662. Monday-Friday 5am-5pm PST, Saturday-Sunday 8am-5pm PST. They will be able to jump into your account and make any updates to your credit card information. A have a message on my phone that says new voice mail but when I press VM on my phone I get ” Cal company for your access# “. Can you help me with this? Hi Henry. Please contact Customer Support at 1-888-711-6662 Monday-Friday 5am-5pm PST, Saturday-Sunday 8am-5pm PST. They’ll be able to jump into your account and help you out.